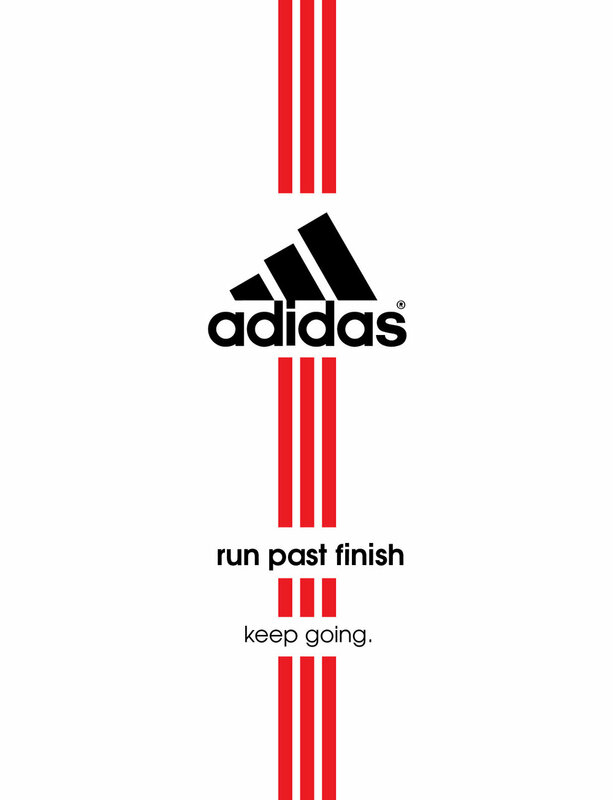 Adidas - "run past finish." ad Campaign. 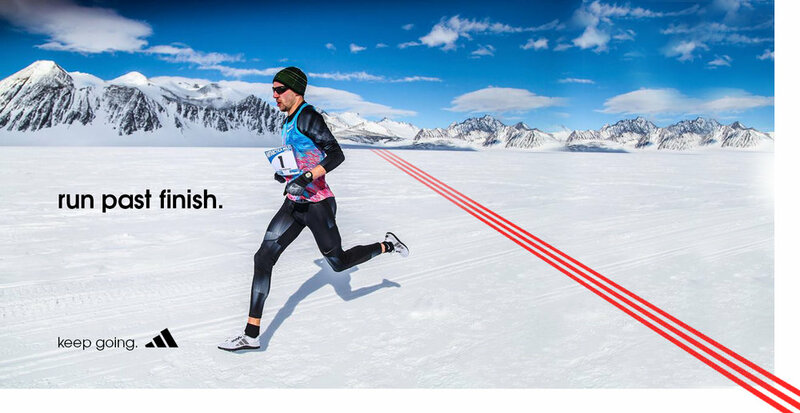 The race is not about stopping at the finish line, it’s running past it. Running past finish trains the brain to keep going in all aspects of life. 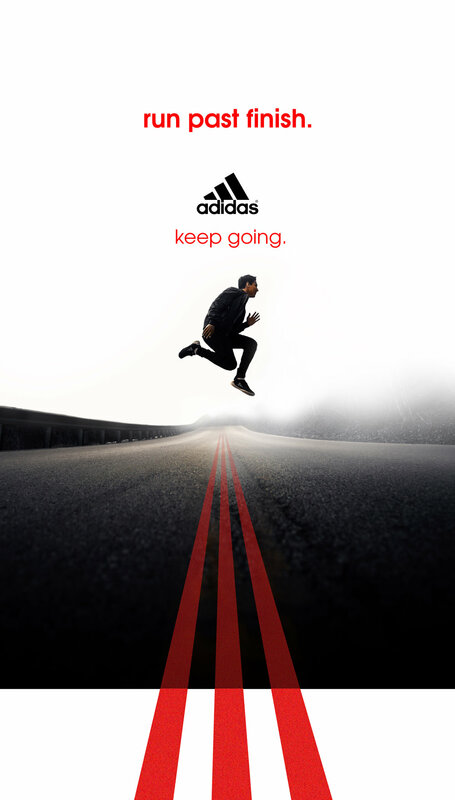 Adidas is long lasting shoe that will get you past where you want to go.